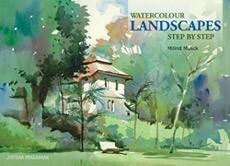 In this book renowned artist Milind Mulick explores and demonstrates watercolour painting using photographs. 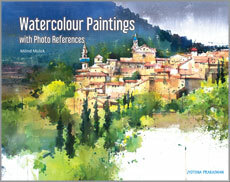 Nowadays due to technological invasion... most artists are 'practically' using photographs as reference material. When a photograph is used as a reference point, it is important to pay attention to draw inspiration from it, not replicate it. This involves developing a preliminary thumbnail sketch to determine the composition and making artistic decisions to recreate 'that' moment.